The Wort Report: Who's Directing Clash of the Titans Redux? Word on the street is that Robert Rodriguez (Sin City, Planet Terror), is no longer attached to the remake of Clash of the Titans: the cult 1981 Greek mythology flick that gave us a claymation Kraken and a robot owl that was in no way an R2-D2 ripoff. Hold up, they're seriously planning on remaking Clash of the Titans? Why does this make total sense? I'm not being snarky here. 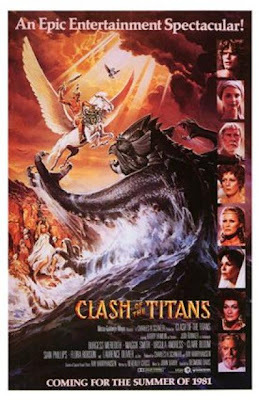 If any flick needs a remake, it's Clash of the Titans (or CotT if I want to be cool. Which I don't, because no one talking about Clash of the Titans is ever cool). I love the stop-motion work of Ray Harryhausen, but man. How great would it be to see the monsters of Greek mythology tear it up onscreen?And with a script by Raiders of the Lost Ark/The Empire Strikes Back scribe Lawrence Kasdan? Hot damn! While Rodriguez has moved on, it will be interesting who else grabs the reins of this project. Guillermo del Toro? Peter Jackson? Uwe Boll? Until the blogger's strike, I'll be keeping an eye on this flick as it materializes.